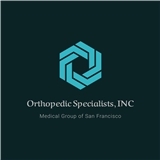 Orthopaedic Specialists, INC (San Francisco) - Book Appointment Online! Orthopaedic Specialists, INC is internationally recognized in the treatment of Sports Medicine injuries and disorders. At Ortho Specialty Group you are provided with the most advanced orthopedic care available as witnessed by our ongoing research and innovations. Patients with complex problems are referred to Orthopaedic Specialists, INC by surgeons throughout the United States. Our goal is to make your relationship with us as successful as possible. We believe in making certain that you not only understand the surgical process but also play an integral role in the decision-making process. Phenomenal Doctor, very thorough, kind and caring!